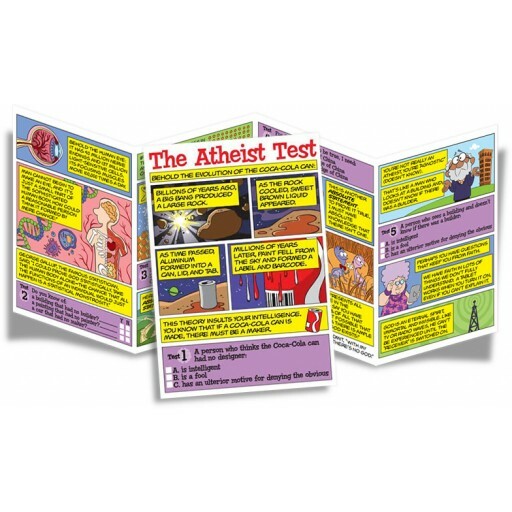 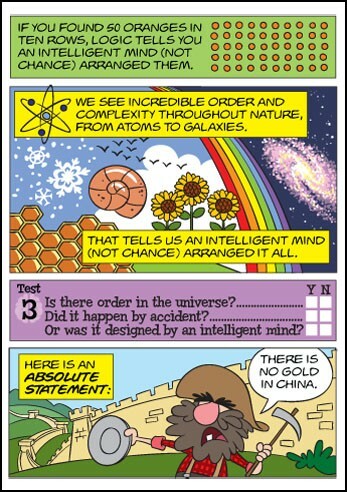 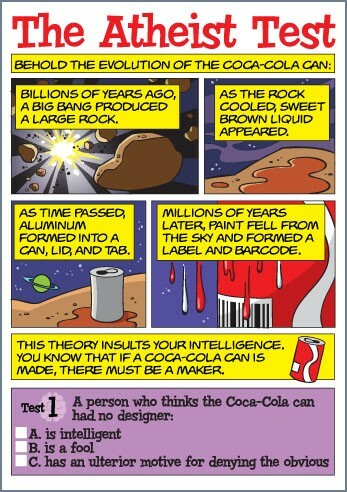 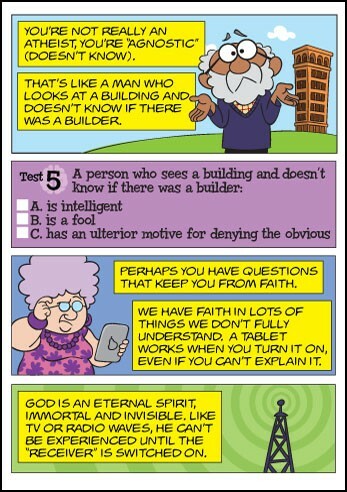 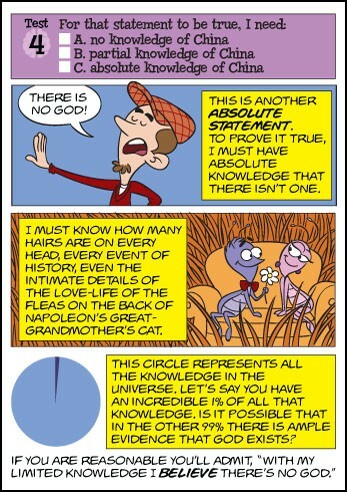 Here are several tests which will cause any atheist to doubt their faith! 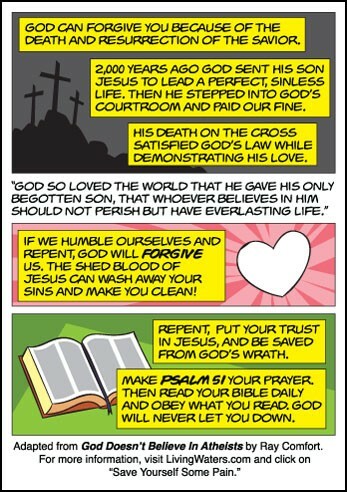 Click on the images above to read (left to right) the contents of this gospel tract. 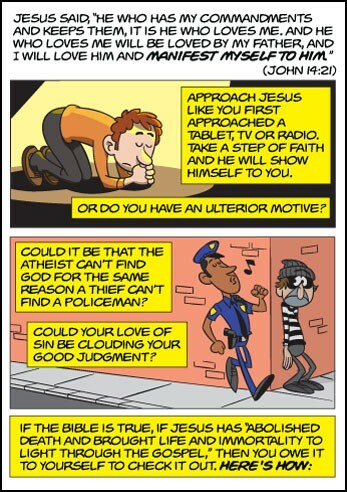 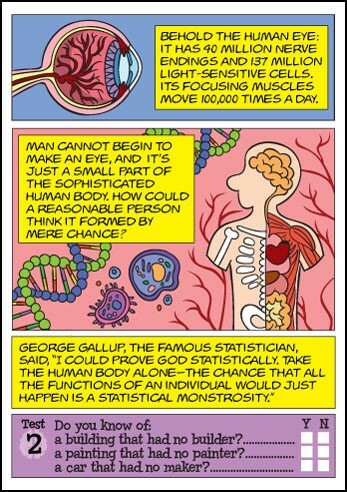 Excellent gospel presentation, comic style makes it easy to understand and attractive. 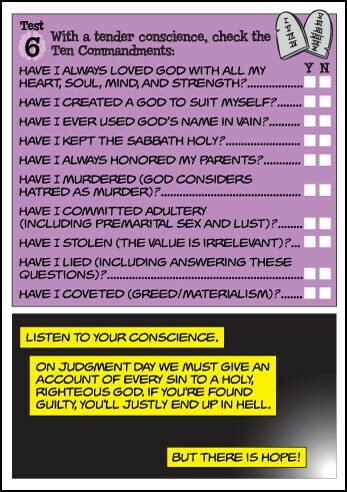 Have given out many of these and will purchase more!